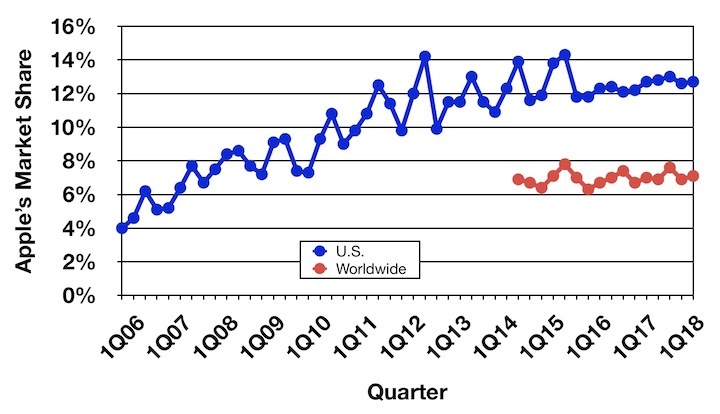 It seems like the lack of a spike in sales the last few years shows you that Apple isn't making machines that grab people anymore. I could be wrong, but that graph looks like it shows a spike every time a model update came out. Until the last few years. Then fairly steady as no one is excited about touchbars and a lack of ports. You mean in place of a recall program? Well you are a blind fanboy from your comments. Heck, your name does check out. Tim, you only have to give out that 4 year warranty because you were forced to. We all know it's not from the bottom of your heart that you did it, you are after all a bean counter and will squeeze whatever you can get and only give when absolutely necessary.